Nordstroms is one of the leading luxury clothing compoanies in the world. Founded by John W. Nordstrom and Carl F. Wallin, Nordstrom is known for superior (and often times very expensive) designs, class, fabric and accessories. From a small fashion to a leading retailer, stores now spread across 332 locations in 39 states, even in Canada too. If you have a problem with your Nordstorm order or need to report a bad experience, contact customer service in U.S. at 1-888-282-6060 or in Canada at 1-877-794-5304. International shoppers can dial 1-319-846-4140. 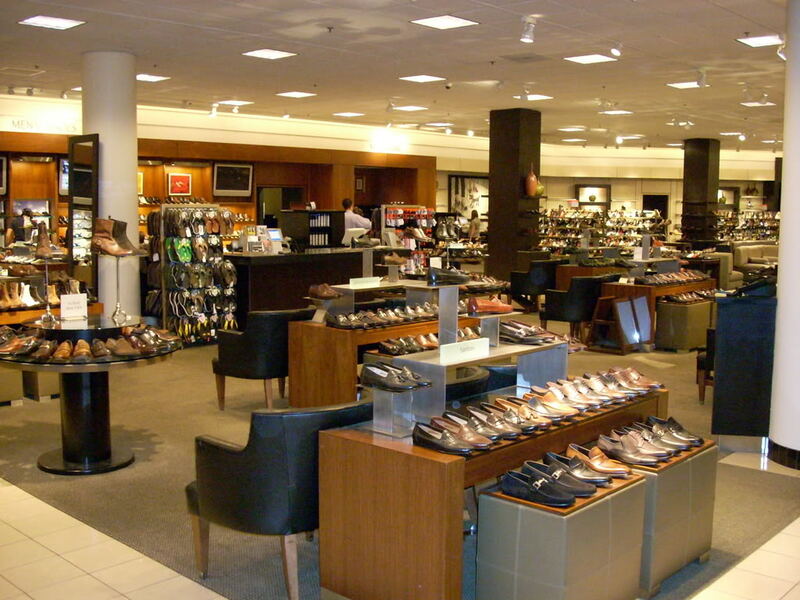 Nordstrom headquarters is located in Seattle at 1600 Seventh Avenue, Suite 2600, Seattle, WA 98101. You can mail any support questions and mark them "Nordstrom Direct Inquiries" in your address. Common issues with products include mens, womens, bags, and suits. They offer premium bands such as Channel, Alberto Armani, Calvin Klein and many more. I bought a fur poncho from Nordstrom online in the amount of $270.00 with my Nordstrom retail card (4470-4310-1314-7707). I returned the poncho in person at the Nordstrom San Francisco store and put the refund on my Nordstrom debit card (4470-4110-1579-1199). The refund never appeared on my debit card/bank account. I called customer service and told them the funds never appeared on my debit card. The customer service rep told me the debit card was no longer valid because i hadn't used it in awhile, but the expiration date on it is 11/19. She told me that she would call the San Francisco store where i returned the item and have them debit my Nordstrom retail card. After several weeks, i called customer service again to check on the status. This time the rep told me that the refund couldn't be handled the way the first rep told me and that they would mail me a check. I called to check on the status of the check since i hadn't received anything in the mail and the rep said she couldn't see where a check had been mailed. I then went back to the San Francisco store and told the customer service department about my issue. She called customer service and they spoke with me and told me that they had to send me out a dispute form in the mail before they could take action. I never got the dispute form. I have been dealing with this issue since January 2019. I use to love shopping at Nordstrom because i always had a pleasant shopping experience and no hassle returns. I am so disappointed in the incompetence i have encountered with this very "fixable" problem. I am at my wits end and truly don't know how i'm going to get my money back. I feel like i need to contact "7 on your side" for an advocate to help me get my money back, because my phone calls and trips to the store isn't working. Please help me avoid having to take any drastic measures and either credit my retail account or cut me a check that i can pickup at the San Francisco store. I am a loyal customer, I only shop Nordstrom, have been for years. I love their policies and their customer service. on Thursday, I was in the mens department with one of your employees, who always attends to shopping with me, when I asked her to take out a Burberry bag (mens) for me to purchase. I liked it very much cause it was the equestrian style and the bag was for my son who owns a large farm. My salesgirl, who normally doesn't work in that department, asked one of the other employees for the bag which I requested to store the bag in, and she replied that there was none, that Burberry doesn't allow that.....well at 820.00 I didn't want to give my son a gift that is not complete and looks like I bought it second hand. we went over to handbags, and all the Burberry bags came with them. one of the salespeople was able to find one that was sufficient, not great but better than none. I think the girl in the mens department was annoyed because the other salesperson was ringing the sale. I would like the proper bag to go with the bag. I could've bought it elsewhere, but I am a loyal customer and never have a problem, up until now. This is theholiday shopping season and last Thursday after work I walked 4blocks in freezing cold Chicago weather to the Nordstrom store on Michigan Ave to do my Christmas shopping. I saw a line of people waiting to one side to get into the store and I thought it was for a special cosmetic event... but when I attempted to enter the store to do my Christmas shopping a guard turned me away telling me the store was only open for this event to the people invited!!! I shop Nordstrom online once or twice a month and never received any invite and then was refused entrance to do my Christmas shopping after walking all that way. I turned around and went to Bloomingdale’s. Is this how you treat your good customers? Shame on you! Tv commercials, changing national anthem. Ect.ect.ect. I have been a loyal Nordstrom customer for many, many years and have spent tens of thousands of dollars over the years both in store and online shopping (look up my account number). Frankly, I have never had a bad experience with Norstrom until now. I recently purchased a David Yurman leather bracelet on line (order # 160030912-00001) and received the delivery the other day. Problem is the bracelet was NOT inside the box that was shipped. There was a box inside the box with a certificate of authenticity, a felt type fabric with the name David Yurman on it, a foam insert, and a shipping label and receipt....but NO BRACELET!. My wife Mia Corsini, and I both called customer service (who were very polite) but had to refer this incident to your shipping and delivery department, where we were greeted by a very curt and unhelpful clerk name Joyce who told us that the weight was correct when it left the shipping facility and therefore refused to replace the item or credit my account. 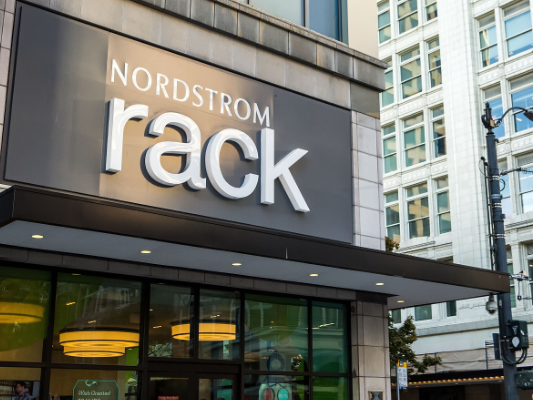 This caught us by surprise as we know that Nordstrom prides itself on customer service. The assigned case number is 180 308 016 447. I told Joyce that her refusal to credit or reimburse me was completely unacceptable, and was jeopardizing the relationship of a very long time loyal customer....she didn't seem to care and said that her decision was final. I requested to speak with her supervisor, as this was a completely unacceptable response. She said she would refer it to a supervisor and that person would contact me. To date we have not heard from anyone. THIS IS SURPRISING BEHAVIOR FROM A COMPANY THAT WE HAVE KNOWN AND TRUSTED FOR SO MANY YEARS! I'm hopeful that this complaint is rectified and does fall on deaf ears. I made an online order with Nordstrom Rack a couple months ago and during the transaction my $64 gift card was drained and not applied to the purchase (what they called a "phantom order"). I immediately called customer service to resolve the issue and was then in contact through email with a Nordstrom customer service representative. The representative never replied to my email to resolve the issue and I then had to call 5 or 6 times over the course of the next several weeks to follow up. Each person I talked to made "notes" about my problem in their system and I was then promised a new gift card to be sent in the mail within 3-5 business days. Two weeks passed with no gift card so I had to once again call, where I was on the phone (either on hold or speaking with a representative) for over 45 minutes. I was just told (once again) that I will receive the gift card in the mail within 3-5 business days. It better come in the mail this time or I will never order through Nordstrom again. I thought Nordstrom was known for their excellent customer service, but I am extremely disappointed and frustrated that I have wasted hours of my time trying to get my money back. The mens grooming department at Nordstrom where such high end brands like Jack Black, Kiehls, The Art of Shaving, Anthony Logistics, and new line which I had come specifically to purchase exclusively sold by Nordstrom is Profile for Men, a high end mens skincare line developed by the actor Robb Lowe, Both Nordstrom and the company Profile has spent quite a lot of money promoting this line, and I have bought it at the Nordstrom Perimiter mall, Atlanta location and the Phipps Plaza Atlanta/Buckhead location. This entire department is virtually ignored by the salespeople. Unlike the ladies cosmetics counters where the salespeople work for both the line and the store, this department has no one. its a take it or leave it atmosphere. I went to purchase a eye serum roller and a 1.7oz moisturizer. I asked the sales lady to please give me some samples of the other pieces they had, but she could find none. I know for a fact this store and the Phipps store have samples as I have gotten them before, but whomever is in charge of tis department obviously doesn't care enough about that to let the salespeople know where to look. Also, at Nordstrom.com ANY purchase of Profile comes with a free gift (usually a travel size shave cream) nothing grand, but at least something. When i pulled tis up online and showed it to the saleslady, she immediately points out the small print showing me that was "ONLINE ONLY" WTF, My purchase rang up at $108.00 for just TWO ITEMS, yet I can't get even a sample of the other 4 available profile products because no one can find the samples. If I were Robb Lowe I would pull the line from them based on failure to honor contract and failure to provide adequate coverage of the line for exposure. Alright store. The lines always seem long. And when asking the workers if they could help, they always manage to be mean and snarky. Love the clothes. Hate the prices and customer service. It could just be the store near me but don't want to make the longer drive to another Nordstrom. It's a nice store no doubt about it, but is there really any question that the prices on clothing here are rediculous? I mean seriously $85 for a t-shirt or $250 for a pair of jeans? The last time I visited Nordstrom it was for a Christmas present for my little cousin. She wanted a gift card and I had budgeted $40 to give her. When I stepped inside and started looking around I realized she could not even buy anything for that price! I ended giving her a $50 gift card knowing that she would have to fork over another $50 to get anything decent in the store.